While quail is what we are known for, we have branched out into other species of game birds and specialty poultry to offer a variety of freshly prepared meats, offal, stock bones, and more. All of our birds are raised on pasture. The cost of our meat and eggs directly reflects the quality of care, feed, and living conditions we upkeep daily. We are not subsidized by the government in any way like many of the large meat farms in our country. Find below brief descriptions of our fine-feathered fowl! Two Coturnix hens check out their nest box. 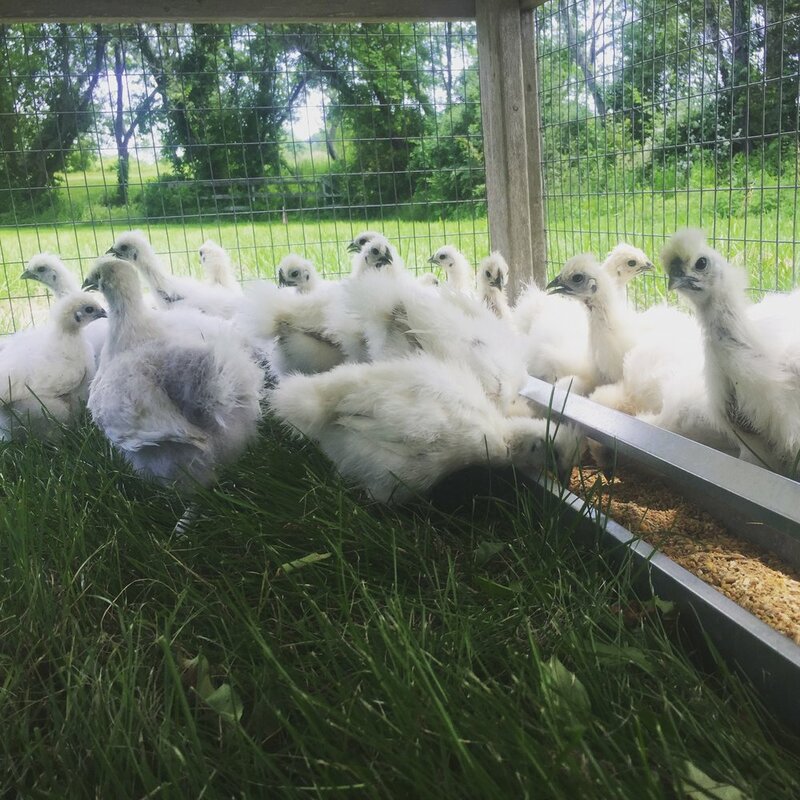 Silkie chickens enjoying pasture life. A flock of French Guinea Fowl clipping down a stand of mugwort. 1. Naturally mating: the Heritage Turkey must be reproduced and genetically maintained through natural mating, with expected fertility rates of 70-80%. This means that turkeys marketed as “heritage” must be the result of naturally mating pairs of both grandparent and parent stock. Their industrial counterparts, the broad breasted bronze and the broad breasted white, cannot do this and therefore not considered "heritage" breeds. 3. Slow growth rate: the Heritage Turkey must have a slow to moderate rate of growth. Today’s heritage turkeys reach a marketable weight in about 28 weeks, giving the birds time to develop a strong skeletal structure and healthy organs prior to building muscle mass.